I usually read a novel to relax and escape from my daily routines. Some novels I finish and instantly forget. There was really nothing memorable about them. Others stay with me long after I’ve finished reading them. What makes some of them so memorable while I forget the others? The best novelists create a believable world and characters you want to get to know better. An excellent novelist should have something important to say, but he lets his characters say it. You, the reader, should almost not notice because you are so immersed in the world the novelist has created for you. The characters do the talking. In a well-written novel, every piece of the plot puzzle is placed on the table where the reader can find it as the plot builds. The reader is with the writer as they put the pieces together until they fit perfectly and the picture is complete. They work with what is on the table. 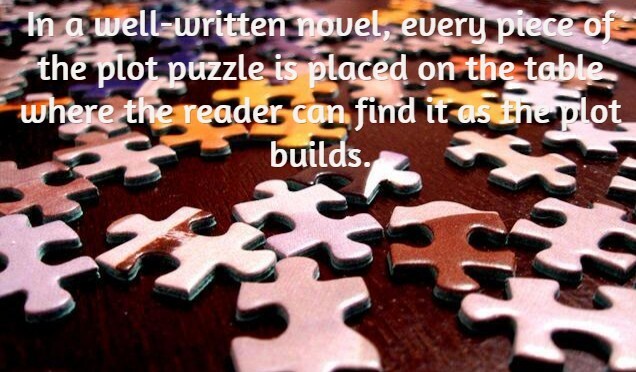 The writer doesn’t hide pieces and then throw them on the table when the puzzle is almost complete, stealing the satisfaction you have as you work with him to put the final pieces in place. A great novel makes it hard to return to the real world. One doesn’t want to leave the characters behind. The reader is left wanting more. I felt that way about the Mitford series by Jan Karon. I never wanted it to end. That’s why I’m delighted to discover Jan Karon has finally given us another Father Tim book set in Mitford once more. Even the title reflects the wholesome atmosphere of the Mitford books — Somewhere Safe with Somebody Good. If you are tired of violence and pain and explicit sexual scenes, this is the book you want to read next. I just ordered my copy to be shipped free on its release date of August 4. I can finish some projects before then so I have time to get lost in it for a few days. If you’ve never been to Mitford with Father Tim, you just might want to start at the beginning of the series with At Home in Mitford. You can find all the Mitford and Father Tim Books here. You can start reading them while waiting for the new book to be released. Have you read any of the Mitford books? What do you think makes a novel great? Another character I found unforgettable was Mrs. Elner Shimfissle in Can’t Wait to Get to Heaven. Read my review of this hilarious book here. Haven’t read any of these, but you DO make them sound interesting! Thanks for sharing. Nancy, you must read them. They have been best sellers and the public libraries often have them. I absolutely loved them, and I’m sure you would also like them. Sometimes a novel can be memorable for the questions it leaves you pondering or asking about – by not neatly tying everything up but leaving it up to the reader to have to decide what happens next. (Of course, sometimes that can be frustrating, too, if it feels like the author copped out on resolving things completely.) I read a lot of science fiction so many of the books in that genre I find the most memorable are those which created truly original visions of the future or of different worlds/cultures, ones that avoid cliches or situations which have been written about repeatedly before. Thank you for that added perspective, Nicole. I, too have read books like that that leave me wondering. It’s the books that keep the important clues to solving a mystery off the table where the reader can’t see them, and then uses them to name the culprit at the end that disappoint me. The author still ties it all together at the end, but leaves the reader out of the process of finding the solution by hiding things from him until the very end. I don’t think that’s what you are talking about here. I appreciate reading what you want to find in a good novel. Since I write them, I am fascinated by reader expectations. I don’t write mysteries… though I’ve read a lot of them and understand what you mean about the sharing of clues. I’d like to try writing one someday. I’ve never written any sort of fiction, at least none I’d consider good enough to publish. Your River Girl actually had a hint of mystery about it. I thoroughly enjoyed it.